Exploration no. 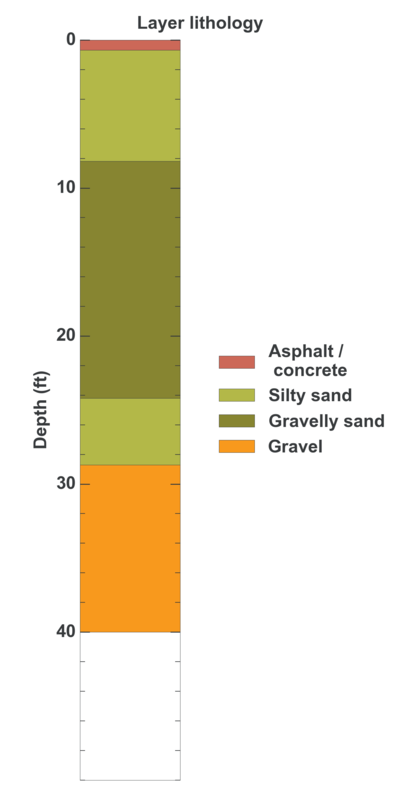 62385 is a Geotechnical (depth 40 feet) named: MW-5 described in subsurface document no. 11308. The document, a report titled Former Exxon Station No. 7-3465 was prepared by Delta Environmental Consultants, Inc. on 02-27-1995 for a Automotive / fueling depot project.